Just as we are thinking about your employees, think about your clients. Do your clients visit on a regular basis? Do they have amenity needs? The last thing you want is to inconvenience them with your new location. 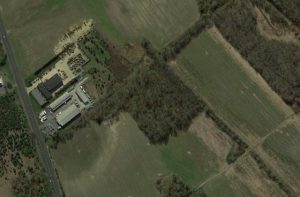 See if the area is up and coming. Is there potential for the business to grow or is it over saturated by your competitors? Landlords hope to reap benefits from the major marketing missteps taken by the Papa John’s pizza chain as the company faces the prospect of closing 250 restaurants across the country. 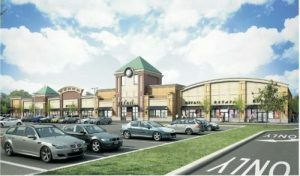 Throughout the U.S. commercial real estate market, including South Jersey retail space, landlords are concerned the chain’s highly publicized missteps by its former chief executive, who received swift criticism after using a racial slur on a recent conference call, could dissuade shoppers and they may hope the chain shuts stores, an industry spokesperson said recently. 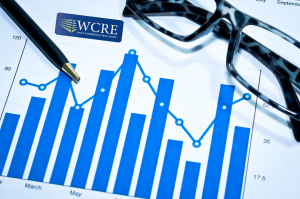 This report on U.S. and South Jersey commercial properties from the CoStar Group research organization is being made through South Jersey commercial real estate broker Wolf Commercial Real Estate, a South Jersey commercial real estate brokerage firm. Papa John’s, the country’s third-largest pizza chain in the national and South Jersey commercial real estate markets, has suffered public blows the past year. Founder and former Chairman and Chief Executive John Schnatter — who still owns about 30 percent of the company — this summer used a racial slur to describe African Americans on a conference call. Last fall, he blamed NFL leadership for allowing players to kneel during the National Anthem and complained the controversy was hurting the chain’s sales. At the time, Papa John’s was an NFL sponsor. It has since been replaced by Pizza Hut. If the chain does close stores in its holdings of national and South Jersey commercial real estate properties, a new commercial real estate report offers clues as to which businesses might replace them. The report said non-retail and non-restaurant space in shopping centers increased to 23.1 percent this year from 19.2 percent in 2012. Forty-four percent of shoppers say they prefer to visit shopping centers that have a wide variety of non-retail tenants. 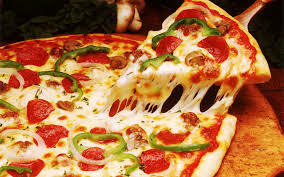 Most Papa John’s stores among its various U.S. and South Jersey commercial real estate listings are in shopping and strip centers, and industry observers believe two popular concepts — Mediterranean or taco restaurants — could backfill the space and drive traffic. For more information about South Jersey office space, South Jersey retail space and South Jersey industrial space or other South Jersey commercial properties, please call 856-857-6301 to speak with Jason Wolf (jason.wolf@wolfcre.com) at Wolf Commercial Real Estate, a leading South Jersey commercial real estate broker that specializes in South Jersey office space, South Jersey retail space and South Jersey industrial space. Wolf Commercial Real Estate, the foremost South Jersey commercial real estate brokerage firm that specializes in South Jersey commercial real estate listings and services, is now offering premier South Jersey retail space for sale at 337 Bellevue Avenue Hammonton NJ. Located in the heart of the downtown Hammonton Business District, this South Jersey retail building for sale is a former bank branch, meaning that this South Jersey retail space for sale is ideal for any retail, office, or medical use. The asking price for this well-positioned retail space in South Jersey at 337 Bellevue Avenue Hammonton NJ is $475,000. This retail space in Hammonton is available for immediate occupancy through Wolf Commercial Real Estate, a South Jersey commercial real estate broker that specializes in South Jersey commercial real estate listings and services. There is a total of +/- 2,434 square feet of South Jersey retail space for sale at this South Jersey retail building for sale at 337 Bellevue Avenue Hammonton NJ. 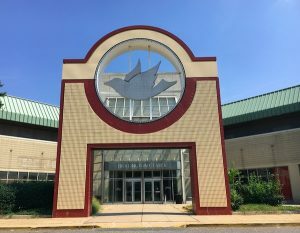 This retail space in Hammonton sits on .92 acres and the Hammonton NJ Transit train station is within walking distance of this retail space in Hammonton. This retail space in South Jersey that is available through Wolf Commercial Real Estate, a South Jersey commercial real estate brokerage firm, is close to the Atlantic City Expressway and there is easy access to Route 30 (White Horse Pike) and Route 206 from this retail space in Hammonton. Nearly 23,000 potential customers live within five miles of this South Jersey retail building for sale at 337 Bellevue Avenue Hammonton NJ. This retail space in South Jersey has building and pylon signage available in addition to two drive-thru teller lanes. 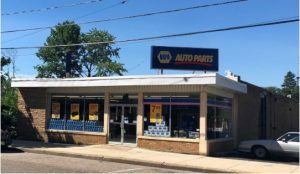 For more information about this South Jersey retail space for sale at 337 Bellevue Avenue Hammonton NJ or about any other South Jersey commercial properties for sale or lease, please contact Jason Wolf (856-857-6301; jason.wolf@wolfcre.com) or Christopher Henderson (856-857-6337; chris.henderson@wolfcre.com) at Wolf Commercial Real Estate, a South Jersey commercial real estate broker. Wolf Commercial Real Estate, a leading South Jersey commercial real estate brokerage firm with expertise in South Jersey commercial real estate listings and services, now has available highly visible South Jersey retail space for sale at 206-208 Haddon Avenue Westmont NJ. This well-located retail space in Westmont NJ features a +/- 6,240 square-foot store on two lots. Multiple opportunities – such as retail, office, or medical applications – are possible at this retail space for sale in Westmont NJ. The asking sale price for this retail space in Westmont NJ at 206-208 Haddon Avenue Westmont NJ is $775,000. For more information about this retail space in Westmont NJ, please contact Wolf Commercial Real Estate, a South Jersey commercial real estate broker that specializes in South Jersey commercial real estate listings and services. This South Jersey retail space for sale is a freestanding commercial property and this retail space for sale in Westmont NJ sits along highly traveled Haddon Avenue. There is a full basement with a restroom at this South Jersey retail space for sale and there is parking for 25 vehicles and additional off-street parking at this South Jersey retail space for sale. There’s easy access to Philadelphia – via the Ben Franklin Bridge – as well as to Routes 38, 70, and 130 from this retail space for sale in Westmont NJ that is available through Wolf Commercial Real Estate, a South Jersey commercial real estate broker that specializes in South Jersey commercial real estate listings and services. As a bonus, award-winning restaurants and retail shopping outlets surround this South Jersey retail space for sale. 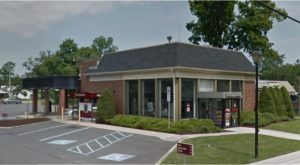 This retail space for sale in Westmont NJ is directly across from the new Haddon Towne Center and, in addition, this retail space in Westmont NJ is within walking distance of the Westmont PATCO Highspeed Line station. 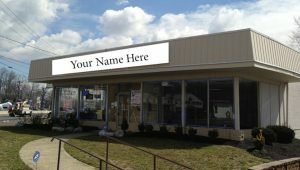 There also is building pylon signage available at this South Jersey retail space for sale at 206-208 Haddon Avenue Westmont NJ. This South Jersey retail space for sale is available Wolf Commercial Real Estate, a South Jersey commercial real estate brokerage firm that specializes in South Jersey commercial real estate listings and services. For more information about this South Jersey retail space for sale at 206-208 Haddon Avenue Westmont NJ about any other South Jersey commercial properties for sale, please contact Ryan J. Barikian (856-857-6307; ryan.barikian@wolfcre.com) at Wolf Commercial Real Estate, a South Jersey commercial real estate brokerage firm.